If you live in or around Sacramento, you surely must have heard about the Second Saturday Gallery Art Walk. If you are ever visiting Sacramento, I highly recommend visiting the second weekend of the month. Every second Saturday of the month, every art gallery and all manner of related arts and entertainment establishments open their doors all day into the late night, serving wine, music, appetizers and and abundance of inspired art often times presented by the artists and curators themselves. This Saturday I have the honor and pleasure of featuring one of my fine art canvas prints at the Hindman Fine Arts Gallery. Andrew Hindman has been my print partner for some time now, helping me bring my photography to life through very detailed and painstaking process. 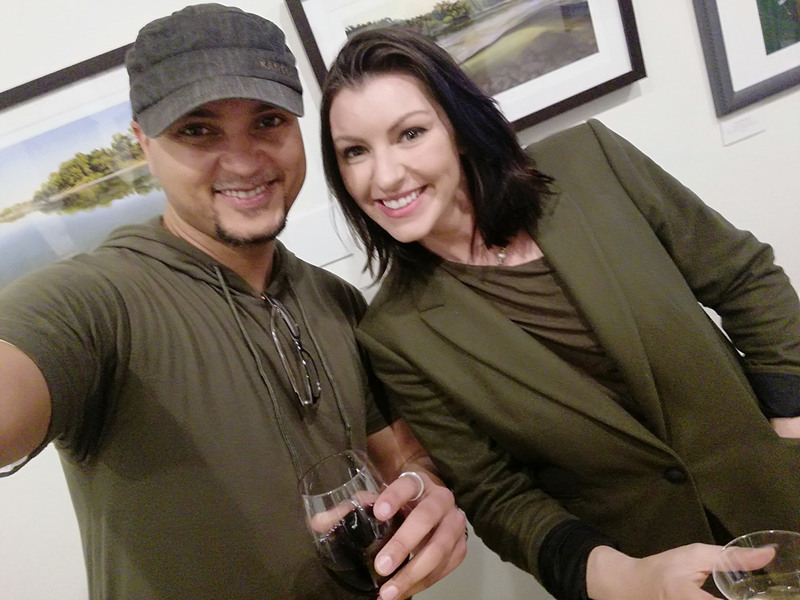 This weekend Andrew and his wife Sharon opened their first gallery. It has been a long journey I have been honored to have a front row seat to and share in from time-to-time. 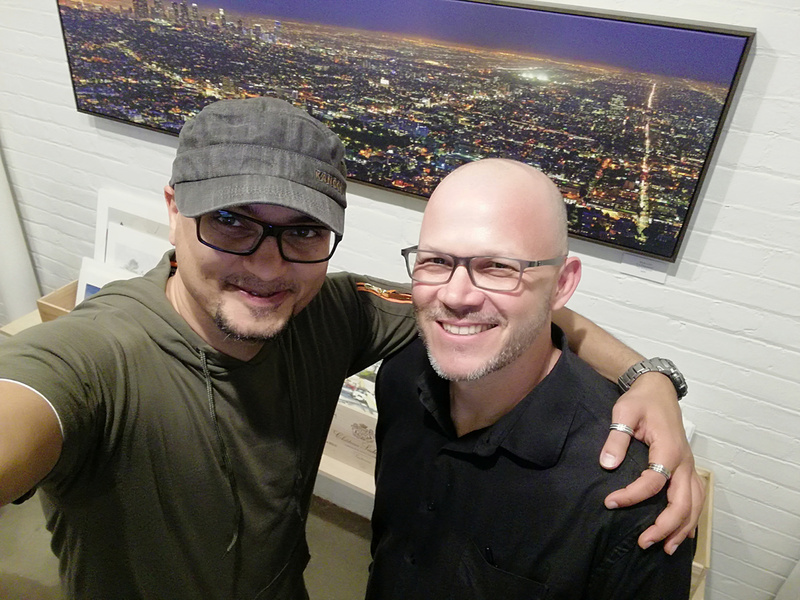 For this opening I was honored to showcase one of my limited edition fine art canvas prints – City of Angels (Los Angeles). There was a lot of great energy, a good turnout. Most notable of the evening was local artist Maren Conrad. She has recently completed a mural in tribute to the movie Lady Bird (watch trailer here) and partnered with HFA Gallery to host signed reproductions of her mural. I later later attended another signing the following day and stopped by another mural art project she was working on. Stay tuned for more on Maren and her works around town. In all, it was very refreshing to meet so much great talent, energy and the amazing community of friends and family who support it all. One of the many reasons why I love Sacramento and happy to call it home.